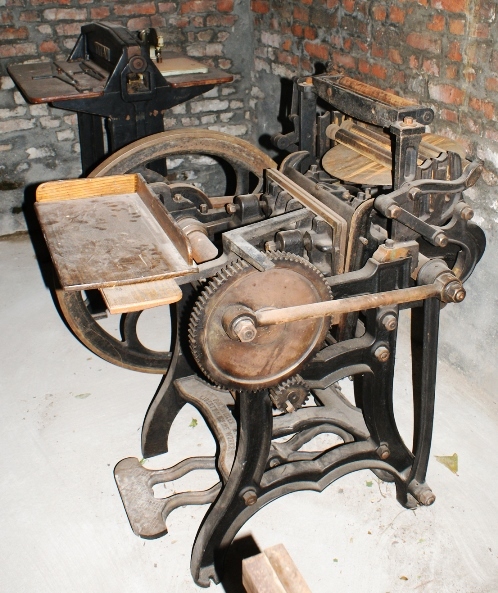 In 2013, Sarah Verroken of Belgium rescued a Liberty press from the garbage. She hopes to clean it up and restore it to working order. This Liberty press shows the 1874 patent extension. 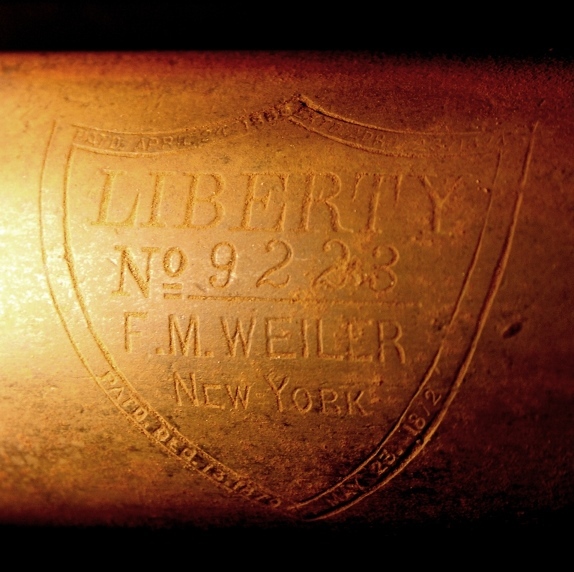 Since the manufacturer's name is shown as "F. M. Weiler", it was built after Weiler bought out the business from the Degener family in 1877. Thanks to Sarah Verroken for providing the information and pictures. For further information, visit her portfolio site or blog.